What a wonderful postcard this is truly gorgeous...Excellent work Julia! What a colorful and creative piece, Julia. I've been missing you and your work! I like your sample, it have wonderful colors! Ook voor jou Happy new Year! Prachtig en heerlijk met die kleuren! 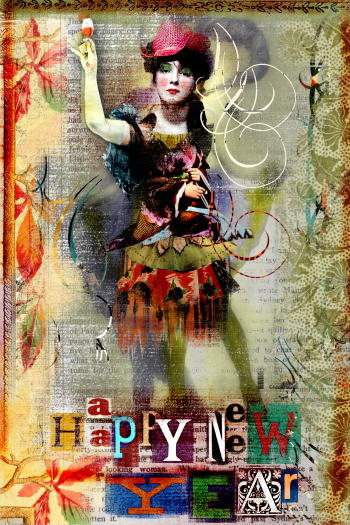 A fabulous New Year card.